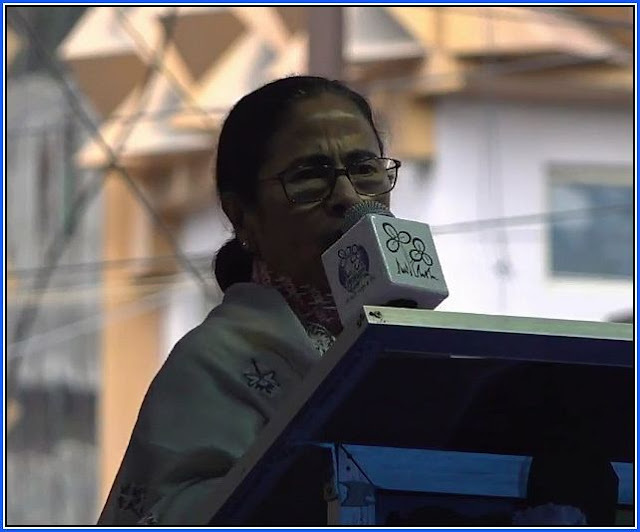 KOLKATA, Apr 11 (Agencies): West Bengal Chief Minister Mamata Banerjee on Thursday held the NDA government responsible for the Pulwama blast, claiming that the BJP-led dispensation did not take any step to thwart the attack despite having specific intelligence inputs. Addressing a public meeting at Chauk Bazaar area in Darjeeling, Banerjee also claimed that India's Independence and its Constitution were under threat in BJP's rule. "You (Modi) had information about the Pulwama blast. But you (Modi) failed to contain the attack. You (Modi) are responsible for the entire episode. Terrorism has increased 260 per cent in the last five years under the BJP government. "India's Independence and its Constitution have also come under threat. People have forgotten the principles of Gandhiji, Netaji and Vivekananda," she stated. Forty CRPF jawans were killed in a terrorist attack in Pulwama area of Jammu and Kashmir on February 14. The Trinamool Congress (TMC) supremo asserted that the saffron party was trying to "take advantage of the political turmoil in Darjeeling". "They (BJP) ignite fire in Darjeeling during polls. People in Delhi (BJP) instigated the problems here. The more the problems, the better are their chances of taking advantage of the situation The BJP does not want any progress in Darjeeling, Kalimpong, Kurseong and Mirik areas," she said. Banerjee also alleged that saffron party's outgoing MP SS Ahluwalia has not taken any measure to bring about development in the region. "Ahluwalia never visited the region after winning the election. The parliamentarian, who fled the Hills, is contesting from Burdwan this time," she claimed. Urging people to cast votes for the TMC, Banerjee said her party has fielded Darjeeling MLA Amar Singh Rai as its candidate for the Darjeeling Lok Sabha constituency as it wanted a "son of the soil" to represent the people in Darjeeling. Taking a jibe at the prime minister, the TMC chief said Narendra Modi is busy promoting himself at a time when the country is in need of security and development. "He (Modi) has become so tall a leader that he is making his biopic. He has come up with NaMo shops to sell NaMo suits... After elections, these shops will also sell NaMo slippers. All Modi has ever done is to publicise himself," Banerjee added. The TMC chief also said that Modi did not live up to the promises he made before the 2014 elections. "He made false promises last time. Forget employment generation, around two-thirds of the youth lost their jobs. Over 12,000 farmers committed suicide having failed to pay their loans. Demonetisation and GST have destroyed India's economy. "Chowkidar chor hai.. Chowkidar (Modi) is a thief, a big liar," Banerjee iterated, stressing that she would not allow the BJP to implement NRC in West Bengal. genuine Indian citizens from illegal migrants. West Bengal Chief Minister Mamata Banerjee on Thursday held the NDA government responsible for the Pulwama blast, claiming that the BJP-led dispensation did not take any step to thwart the attack despite having specific intelligence inputs.